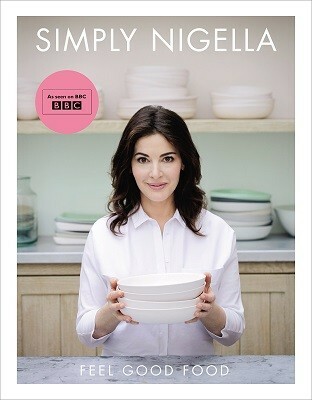 Who doesn’t love Nigella? The queen of the British kitchen has written a new must-have cookbook that is sure inspire thousands of dinner parties up and down the land, and on Super Thursday we’re giving you the opportunity to use one of our Waterstones voucher codes and get it at half the price. Just head on over to our Waterstones voucher codes page and click on the link that save you up to 40% on selected books. In fact, we can go do one better on this title, because with this Waterstones deal, you can buy Simply Nigella for only £13 (RRP: £26). And while you’re there see what other Super Thursday titles you can save on! With over 100 books under her belt, including the best-selling Tracy Beaker and Hetty Feather titles, Jaqueline Wilson is one of the country’s favourite children’s authors. Her new book, Little Stars, has been hugely anticipated, and Jaqueline Wilson fans will be pleased to hear that you can get it discounted with The Book People voucher codes. Not only can you buy Little Stars for only £10.39 (RRP: £12.99), but with The Book People voucher codes, you can get free delivery on your order when you spend £20 or more, so get a few more items on that Christmas list ticked off while you’re there. Top of the Super Thursday fiction pile is City of Strangers by Louise Millar, an international mystery tracing the origins of an unidentified corpse found in a woman’s Edinburgh apartment. If you simply can’t wait to get your hands on this book, or think it will make the perfect Christmas present for the booklover in your life, our WH Smith voucher codes can currently help you purchase it at a very good price indeed - £9.09 (RRP: £12.99). Just head on over to our WH Smith voucher codes page to click on the link that saves you up to 60% on new and best-selling books. Talking of WH Smith voucher codes, our last pick of the Super Thursday titles is currently on offer using that very same saving. If you think you might be suffering from Sue Perkins withdrawal symptoms following the final of The Great British Bake Off, help is at hand in the form of her new autobiography, Spectacles. Use our WH Smith voucher codes to get this must-read for half price (RRP: £20, now only £10), and spend the cool evenings laughing your head off. There are many Super Thursday savings to be had, you just need to know where to look for them. Luckily, our Waterstones, The Book People and WH Smith voucher codes are on hand to point you in the right direction.